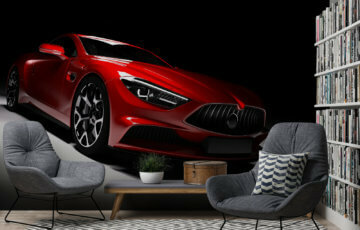 Geometric photo wallpaper has recently become very popular. It happened because it is easy to add them to the modern, minimalistic interiors and combine with any colours. Would you like to know how to arrange your flat so that it can contain geometrical themes? This and much more you can learn from this article. At the beginning it is worth knowing what form of geometry you would like to have in your house. Is it going to be a decoration on the wall, some ornaments or patterns on textiles? 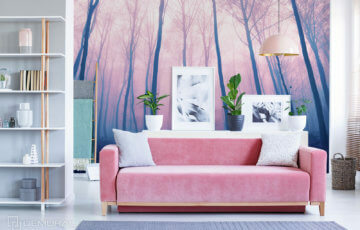 In this article we are going to focus mainly on the wall decorations in the forms of a photo wallpaper because it is a relatively cheap and very chic form of decorating the wall adding character to the whole interior. It is extremely important when it comes to geometrical forms. Thanks to the wide range of patterns you should quickly find something that would be easily added to the already existing arrangement of the house and create something completely new. 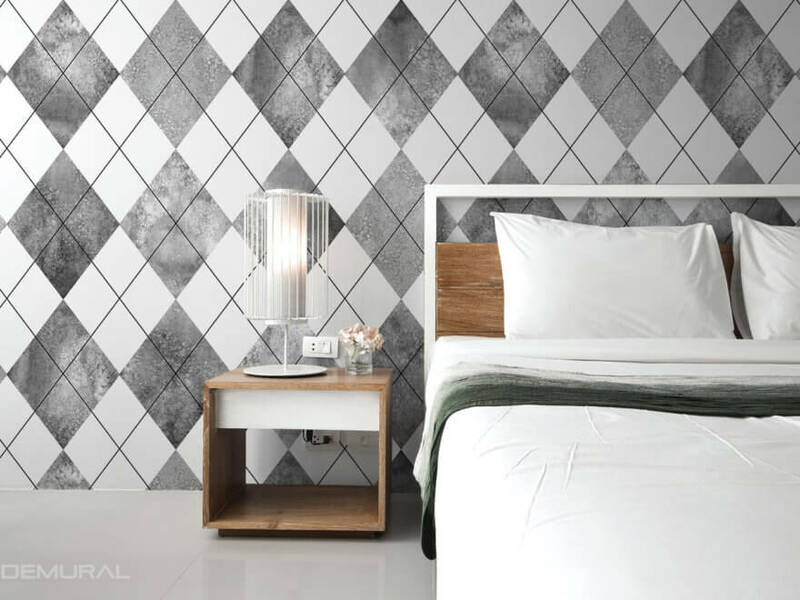 The first element that you should focus on while choosing a geometrical photo wallpaper is the kind of pattern. 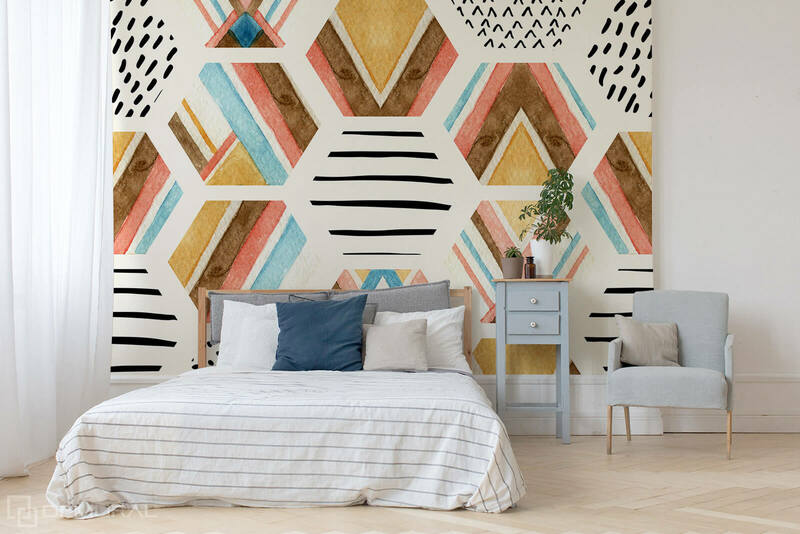 If you want your wall to be covered with a unified, toned pattern, because it is supposed to be only a background for the furniture, you should rather choose some subtle figures laid symmetrically or something in the toned or pastel colours. If you want your wall pattern to constitute a compositional dominant, you can risk and use the figures in strong, contrasting tones with an asymmetrical order, thanks to which the whole composition would seem more dynamic and attractive. 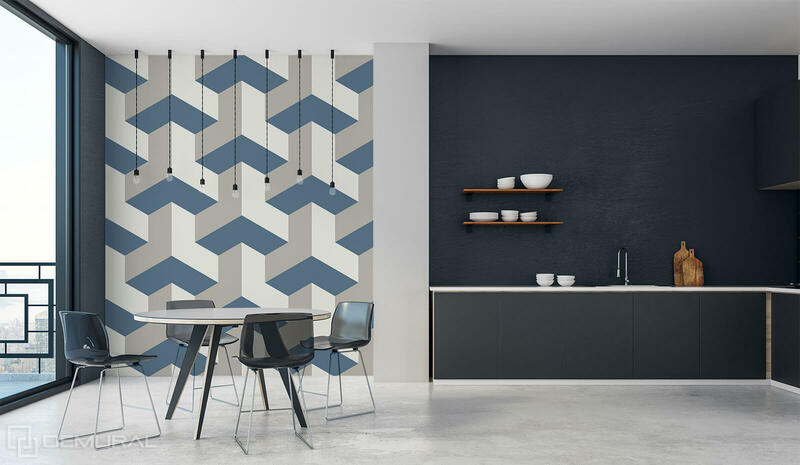 If you have only a small room at your disposal, decide on only partially covering of the wall with a wallpaper, so that you don’t have to decrease the room visually. In the case of geometrical pattern, you can play with the colour, theme and its shape without a problem. 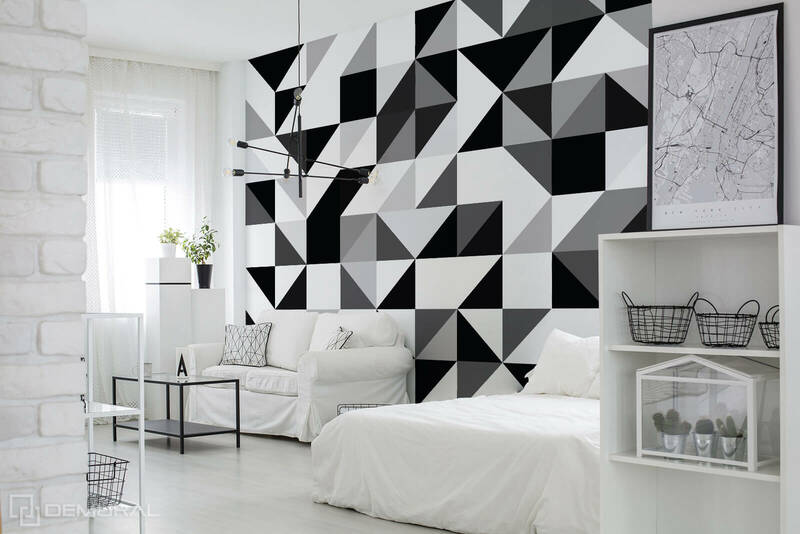 The most popular figures are triangles and squares, but you can also choose some more complicated shapes that will add some dynamics to the wall. If it is still not enough for you, you should have a look at the geometrical abstractions that constitute a compositional dominant and the most important decorative point of the room. For that reason they will look extraordinary in the spacious rooms where they can be exposed in a proper way. 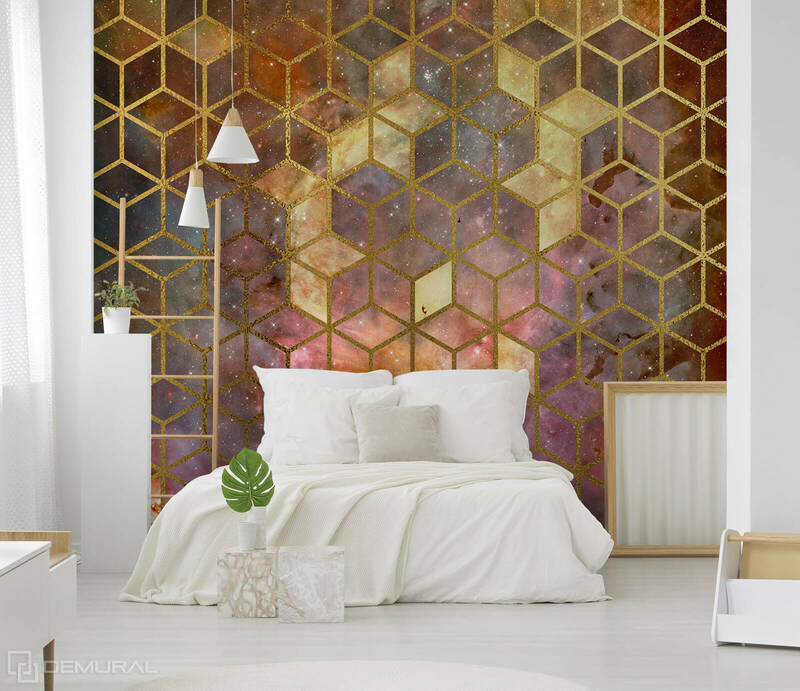 The geometric photo wallpaper can be used on the walls of the living room, dining room or, when they are in pastels, they can constitute a decorative element. As you can see, the geometrical elements are quite an elastic way to arrange a house or a flat. In reality we can without any problems introduce them in each type of rooms and obtain other, but still interesting effect on the walls. If you like modern and minimalistic interiors, this way of decorating may turn out to be a real treat. Surely it is worth taking into consideration while composing decorative elements in the house.